Successfully Added Xiaomi Wiha 26-in-1 Screwdriver - Stainless Steel, Anti Slip Grip, 26 Unique Screw Bits, Hidden Storage Compartment to your Shopping Cart. With this multipurpose 26-in-1 screwdriver kit from Xiaomi, you’ll be able to fix anything you can imagine. Whether it’s a broken TV, smartphone, closet, or glasses - the XiaomiWiha fixes it all. This state of the art screwdriver kit comes with 13 dual-ended screw bits that in total support 26 unique features. Inside the ergonomically designed handle, it holds a hidden compartment to store your screw bits. Thanks to this, you never have to worry about losing them while not in use. The screw driver features a compact and lightweight design which can be easily carried around in your pocket or tool box. It has been crafted out of stainless steel to give it extreme durability. 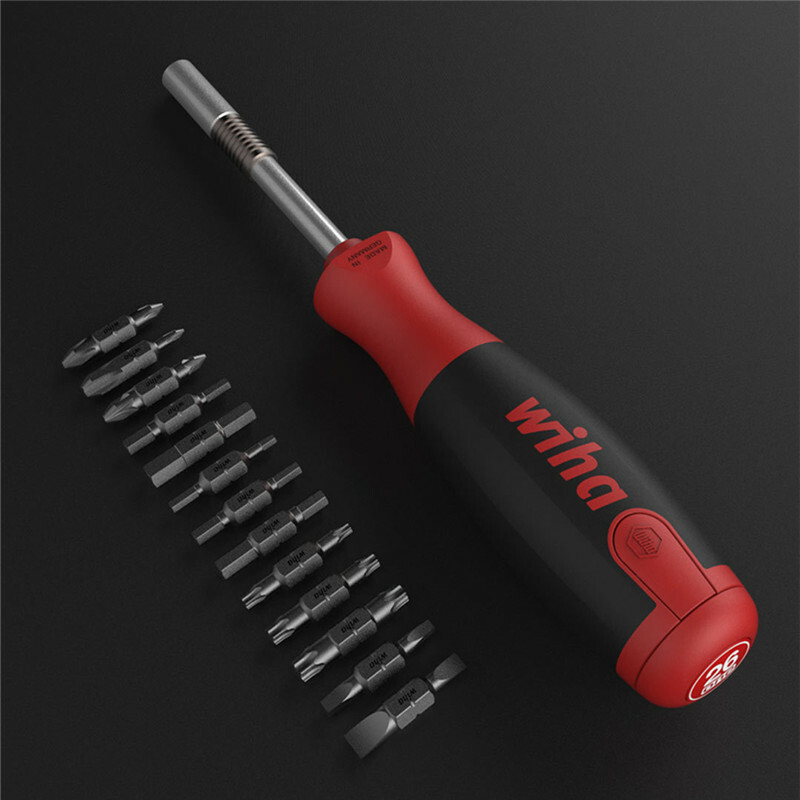 The XiaomiWiha screwdriver itself is comfortable to use thanks to its anti-slip handle. No matter what you need it for, this universal multi-tool is sure to do its job. This screwdriver comes with a 12 months warranty, brought to you by the leader in electronic devices as well as wholesale multi-tools..